Leah Brotherhead, Anna Elijasz, Rob Heaps and Robert Lonsdale will form the cast of the world premiere of DC Moore’s new play Another Place, produced by Theatre Royal Plymouth and opening in Plymouth this November. 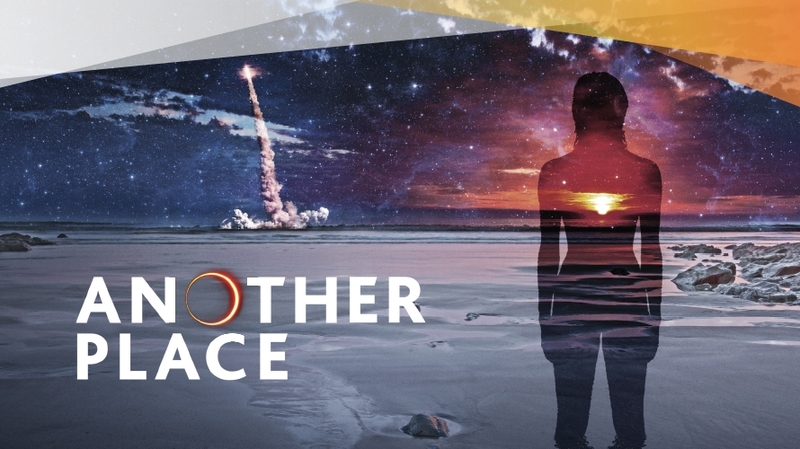 Following his critically acclaimed The Empire at the Royal Court Theatre (a Theatre Royal Plymouth co-production), and The Swan at the National Theatre, DC Moore’s Another Place is a compelling play about our obsession to uncover the secrets of space, and the tragedy of what we leave behind. Full of dark humour, razor-sharp wit and intricately portrayed characters, this is a gripping play about what it means to be human. Directed by Jo McInnes. Another Place will be directed by Jo McInnes, and is a Theatre Royal Plymouth production, following recent successes MADMAN, Solid Air and Forever House. Tickets are priced at £14.70 or with all concessions £10.70. Prices include a 70p booking fee, and can be booked online at www.theatreroyal.com or by calling the Theatre Royal Plymouth Box Office on 01752 267222. Leah Brotherhead (Amy) is currently appearing as Jane Seymour in the acclaimed West End/RSC productions of Wolf Hall and Bring Up The Bodies. Other theatre credits include, Pride and Prejudice (Regent’s Park Open Air Theatre), Dr Faustus (WYP/Glasgow Citizens Theatre), DNA (Hull Truck) and The Kitchen Sink (Bush). Anna Elijasz will play Nat. Her recent credits include As You Like It (Transport), Tu I Teraz (Hampstead/Mercury Colchester) and Invisible (Transport). She also appears in DC Moore’s Channel 4 series Cut. Rob Heaps (Paul) recently appeared alongside Frank Langella in King Lear at Chichester Festival Theatre and on Broadway. His other stage credits include Pioneer (Curious Directive), Pride and Prejudice (Regent’s Park Open Air Theatre), South Downs/The Browning Version (Chichester Festival/West End) and The Notebook of Trigorin (Finborough). Robert Lonsdale (Daniel) was nominated for a Whatsonstage Award for Best Actor for his role in the West End production of From Here To Eternity in 2013, and for a Manchester Theatre Award for his role as Luke in Brilliant Adventures at the Manchester Royal Exchange. Other theatre credits include Anna Christie (Donmar Warehouse), La Bete (West End) and The Indian Wants The Bronx (Young Vic). DC Moore’s previous work includes Straight (Sheffield Theatres/Bush Theatre), The Swan (National Theatre), The Empire (Royal Court/Theatre Royal Plymouth), Home (Channel 4 Coming Up) and Alaska (Royal Court Theatre). He is under commission to the Royal Court and National Theatres. For television he is currently writing an original 6-part comedy drama series called Cut with Clerkenwell Films for Channel 4 and is working with Abi Morgan on an adaptation of thriller novel HOME BEFORE DARK, writing two of the four parts with Cowboy Films for Channel 4. Jo McInnes’ directing credits include Vera, Vera, Vera, Red Bud (both Royal Court Theatre) and Marine Parade (Brighton Festival). She has also worked extensively as an actress in film, television and in theatre, including at the RSC and the National Theatre. In 2003 she co-founded A.P.E Theatre Company. See All News Next Article: Elf cast announced!